To view the various selections of our Tomatoes and Pepper Plants ... Please click the link. 1. This page offers our small Tomato selection. 2. This page offers our Medium and Large Red Tomato selection. 3. 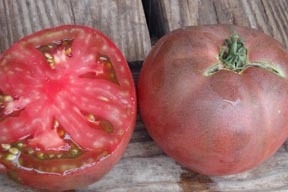 This page offers our Beefsteak Pink Tomato selection. 4.This page offers our Beefsteak Red Tomato selection. 5. This page offers our Yellow Tomato selection. 6. This page offers our Black and Purple Tomato selection. 7. This page offers our Green Tomato selection. 8. This page offers our Oxheart Tomato selection. 9. This page offers our Paste Tomato selection. 10. This page offers our Italian Herloom Tomato selection. 1.This page offers our Sweet Pepper selection.